is 727-688-1709 (Eastern Time). Media enquiries only, please. "My purpose is to educate people on low- and no-cost ways others have achieved and maintained vibrant good health. Because everyone's body is different, you must learn what will work for you. Like anything else, if you want it done right, you have to do it yourself." 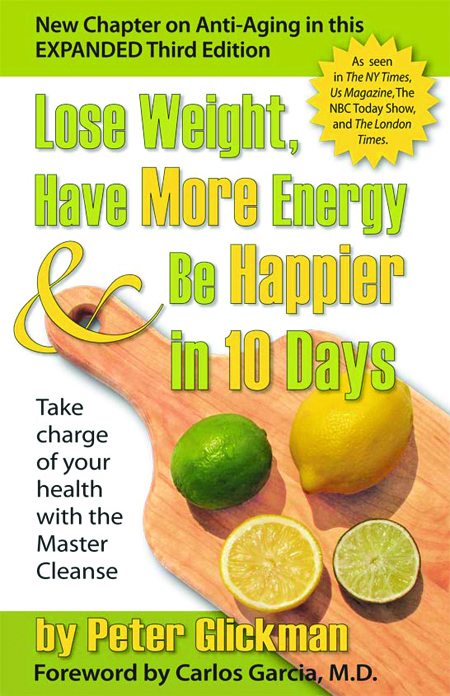 The Master Cleanse, also known as The Lemonade Diet, is the subject of Peter Glickman's book, Lose Weight, Have More Energy & Be Happier in 10 Days, which has been in The NY Times, The London Times, The NY Daily News, Us Weekly, Vogue (Australia), Chica (German), Flair (Canadian), Geraldo's web blog, CBS News, Fox TV's Good Morning Show and on the NBC's Today Show! The book is now in its third edition after having sold more than 110,000 copies, having been translated into 8 languages and spending more than 4 years on Amazon's alternative medicine bestseller list. The new, expanded third edition, published in January 2011, added a chapter on scientific support for the Master Cleanse, answers to 40 more frequently asked questions, an extensive back of book index and a chapter on anti-aging with techniques that can be done easily at home. 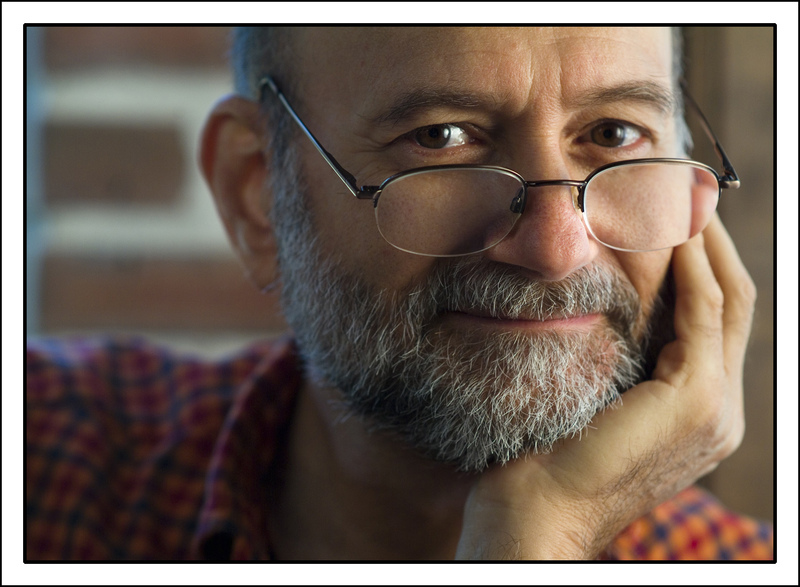 Peter has been a chiropractic clinic director (1994 - 1997), a chelation (alternative medicine) clinic director (1996 - 1997) and a contributing editor to an alternative health E-newsletter (2003). He also founded and ran a software company in the early 80's, a website company from from 2003 to 2006 and was president of another software company. 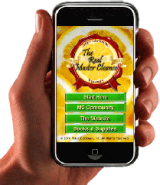 His website and bulletin board have grown to be one of the largest Master Cleanse bulletin boards on the Internet and is routinely visited by more than 2000 people each day. He wrote and published the first edition of Lose Weight, Have More Energy & Be Happier in 10 Days in August 2004 and the second edition in March 2005. The book was written after he coached 100 people on the Master Cleanse in January 2004, when he saw how many questions new people had about the cleanse. He also produced The Lemonade Diet: a Master Cleanse Audio CD. After coaching thousands more people, Peter wrote the third edition. The book and CD are currently sold in his web store, on Amazon, in health food stores and bookstores across the country—including major chains such as Borders, Barnes & Noble and Waldenbooks. It has been featured several times for January New Year's resolution programs by Barnes & Noble, Borders and the National Association of College Stores. Peter is available for speaking engagements on alternative health and what's really wrong with our health care system...and it isn't insurance.